We prefer to be called Rumba Shakers. A musical instrument anyone can play, maybe. Apparently, playing the maracas, aka rumba shakers, is not as easy as it looks. 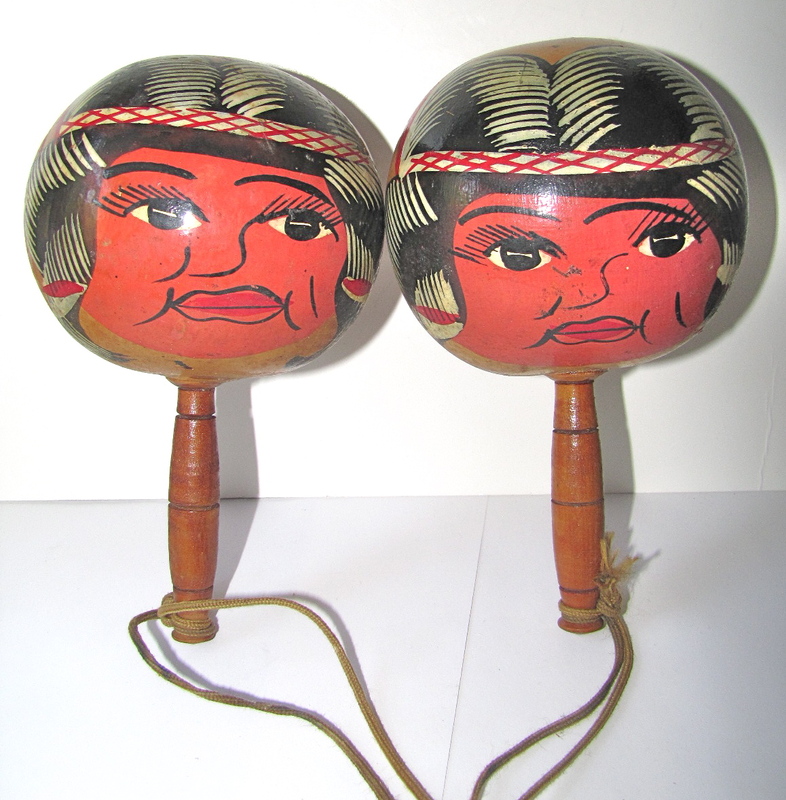 “Although a simple instrument, the method of playing the maracas is not obvious. The seeds must travel some distance before they hit the leather, wood, or plastic, so the player must anticipate the rhythm.” Is anything ever as easy as it looks when someone who knows what they are doing is doing it? It’s not an elephant, is it? Is “friendly spider” an oxymoron? I think it is, but then again, I freely admit to being a borderline arachnophobe, so perhaps I am the wrong person to ask. 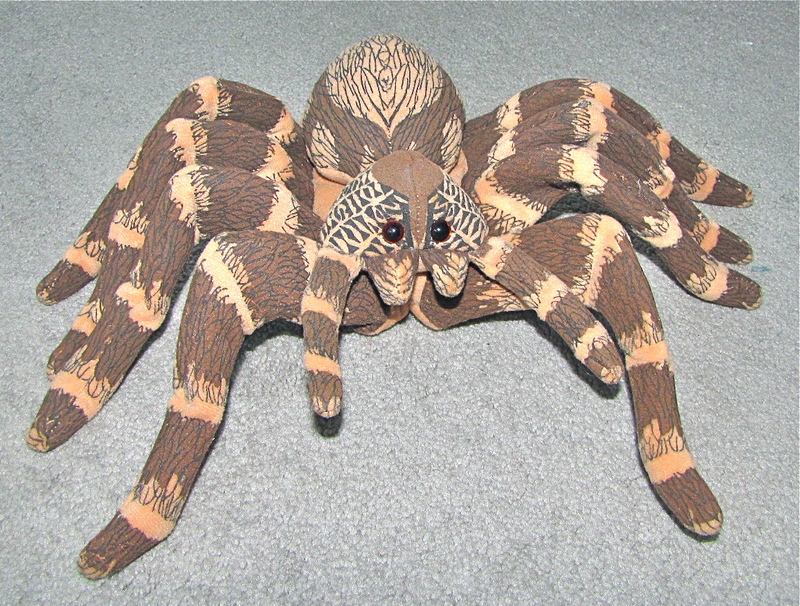 In any case, this large friendly-looking tarantula hand puppet can’t harm me , can it? Made in Japan. 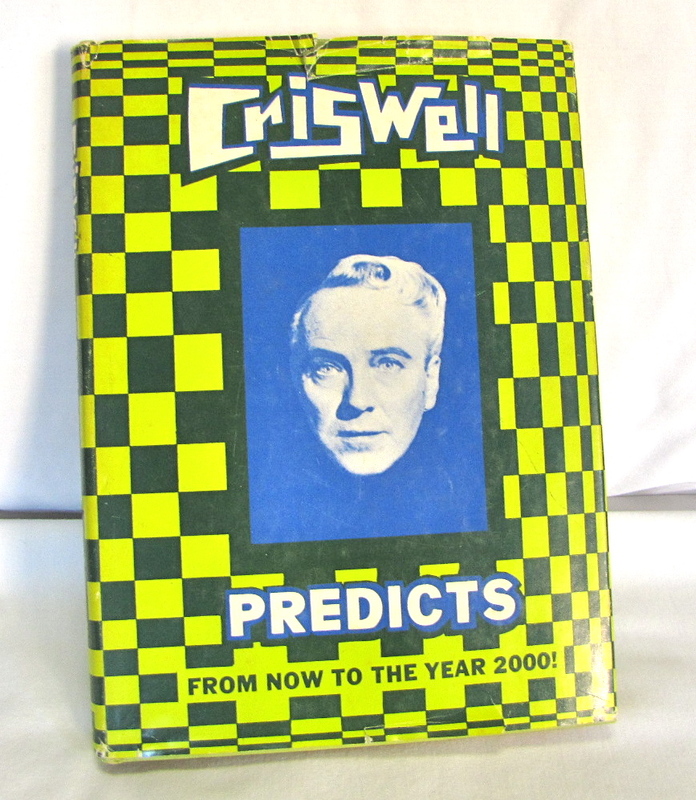 Probably 1950s or 1960s. Great colors. Ultra cute. I wonder how someone ever gave her up. These “love is…” characters are VERY collectible, believe it or not. 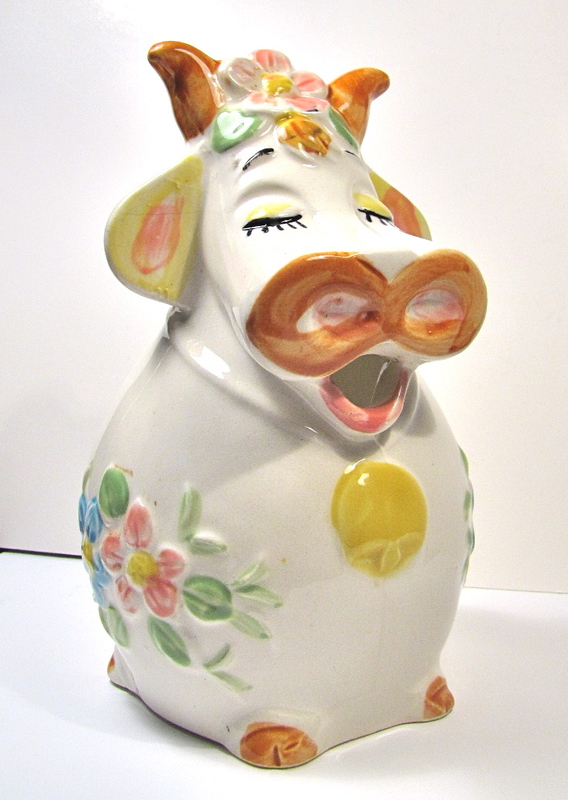 They were marketed by Schmid in the early 1970s. 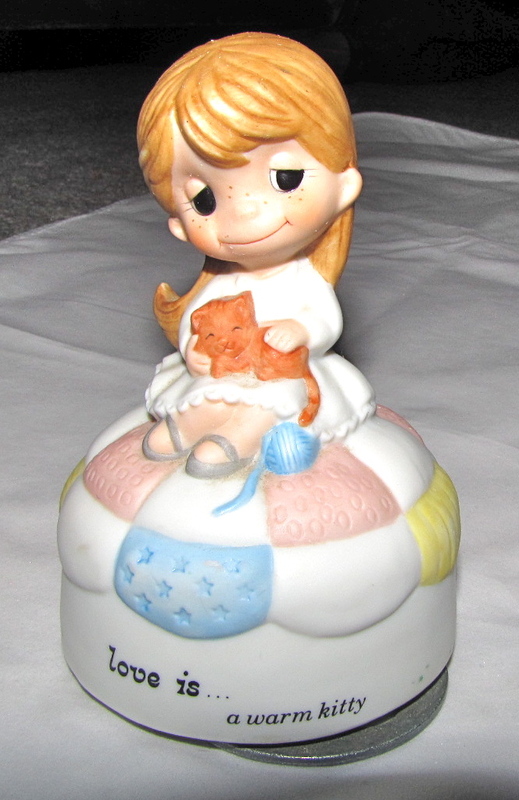 I’ve found a few figurines over the years, but this is the one and only “love is…” music box I have ever come across. Pull the paper and watch him pedal. Yes, this is what it looks like. 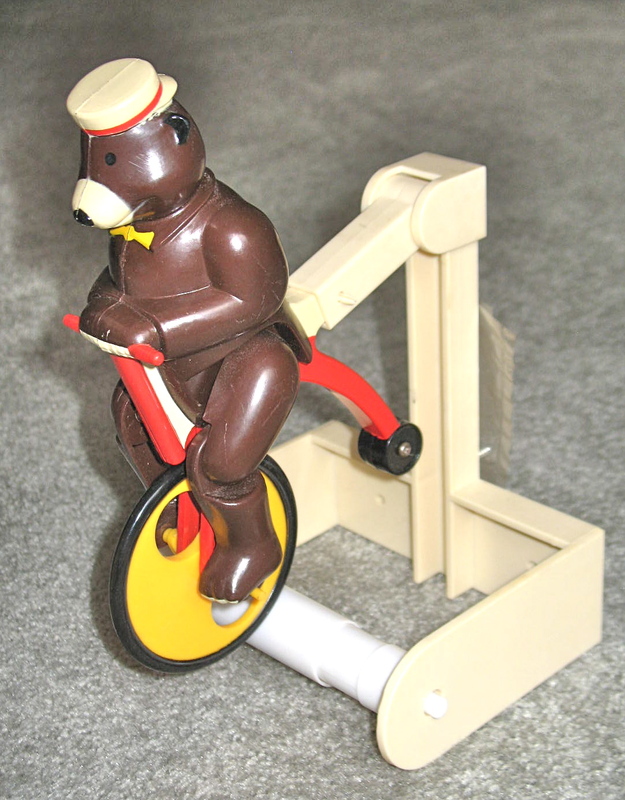 A toilet paper holder that features a pedaling bear on a bicycle. Hard to imagine this matching anyone’s bathroom decor, with the exception of maybe Yogi Bear & Boo Boo. 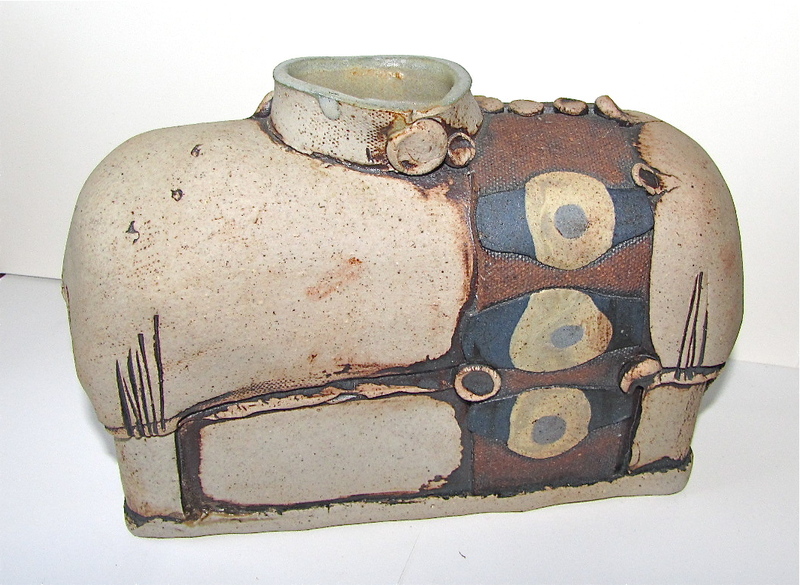 Believe it or not, this is not a homemade ceramic piece. The incised lettering on the bottom identifies this wall plaque as having been produced by an actual company, Apsit Bros. of California (and Remulak?) 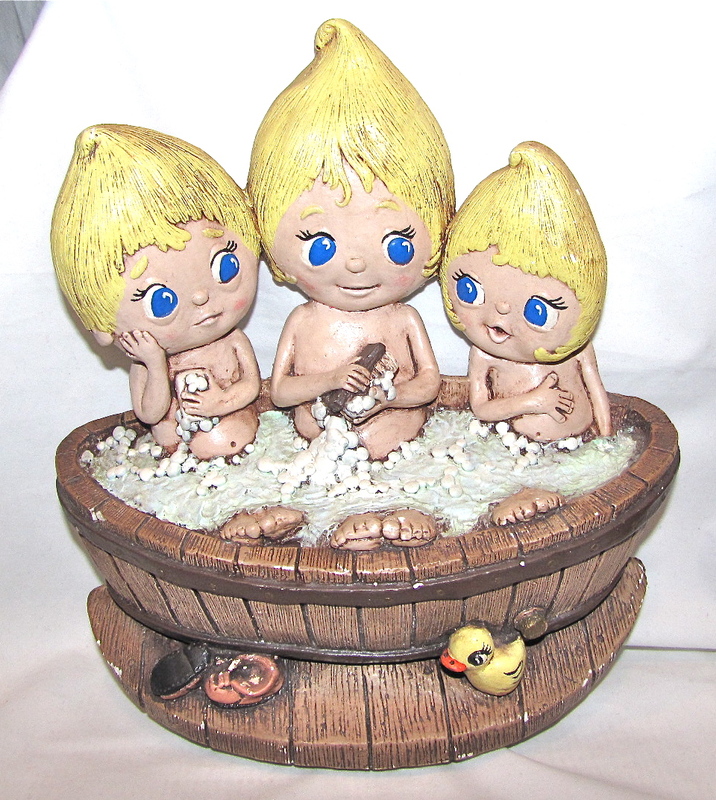 The Bros. must have been having an off day the day this chalkware piece was made. Either that, or the piece was intended to be marketed to an otherworldly (or outerworldly) audience. 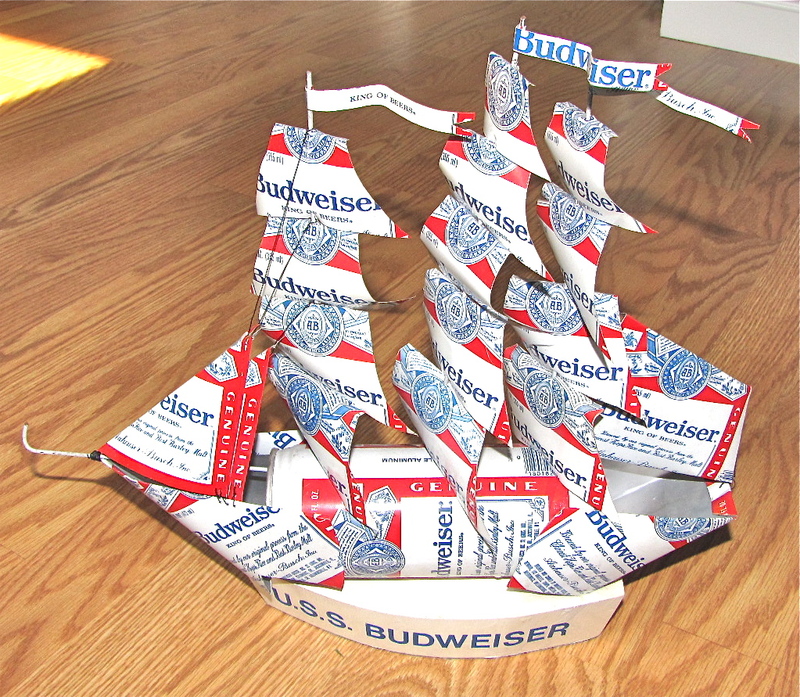 Is beer can art, art?